The growing popularity of checking out e-books at libraries is making it more difficult to actually do it. 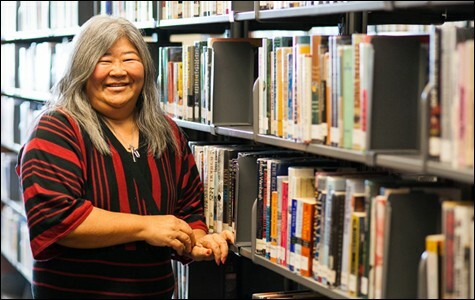 Jane Chisaki, director of the Alameda Free Public Library. A few months ago, Andy Ross, former owner of Cody's Books in Berkeley, discovered that he could check out e-books from the Oakland Public Library from the comfort of his living room. But then he realized it wasn't so easy after all; he'd have to get in line behind the thousands of other patrons on waiting lists. In fact, the explosive popularity of checking out e-books from libraries is making it increasingly difficult for people to actually do it. E-book circulation through Overdrive, one of the largest digital content distributors in the world, rose 133 percent in 2011 over the previous year. The Alameda County Library recently reported that 2,364 e-books were checked out in a single day, and that more than half as many were on hold. At the Alameda Free Public Library the number of e-book check-outs doubled from August to January of this year. Moreover, the huge spike in the demand for e-books at libraries has prompted major book publishers to rethink their policies, and many have decided to make checking out e-books at libraries even more difficult. Only Random House now offers libraries unlimited access to e-books. The other five major publishing houses have pulled back because they're concerned that no one will buy books anymore if checking out a library e-book is free and easy — you can do it from home without having to actually go to the library. Currently, Random House and HarperCollins are the only two major publishers that allow libraries access to newly released books in digital format. And earlier this month, Random House announced libraries would have to pay 20 percent more for adult releases in e-book format, and double that amount for children's books. As for HarperCollins, it places a check-out limit of 26 copies per title. Penguin, meanwhile, just announced that it would no longer lend e-books to libraries until they worked out "security concerns" — as in, piracy. As a library patron, Ross is frustrated. He complained that the only e-books he can check out immediately are romance novels or books written in foreign languages. But as a literary agent, he understands publishers' concerns. "If publishers didn't place restrictions on e-books," he said, "it really would be way too easy for people to get them." Molly Raphael, president of the American Library Association, agrees but worries that restricting e-books could spell trouble for libraries. "We need to change the situation — and quickly — but we also need to recognize that publishers understandably will make decisions to safeguard and protect their publications," she said. Publishers increasingly view e-books differently from traditional books; they never saw physical books at libraries as threats to book sales. Unlike e-books, publishers think getting a print book from a library is already enough of a hassle and so it won't hurt sales at bookstores or online. After all, checking out a library book requires a trip to the library, and usually some scavenger hunting. "It is inconvenient," Ross said. "That's why I wanted to be able to get e-books in the first place." However, libraries are offering more e-books every month, and it doesn't seem as if e-book sales are on the decline as a result. People are still buying e-books even as libraries increase e-book offerings. Public libraries increased their offerings for e-books by 185 percent in 2011, as more and more libraries signed up for Overdrive and e-books became an increasing part of their budget. According to eighteen publishers reporting to the Association of American Publishers, e-book sales increased by 144 percent in the first eight months of 2011. As for piracy, librarians are skeptical that libraries that circulate e-books are drawing book pirates. "The only way publishers can stall piracy is to not webify their material, and even that won't stop it completely," said Susan Fisher, director at the Alameda County Library. "There's no way around it." Librarians are upset, but they would also like to maintain a healthy relationship with publishers. 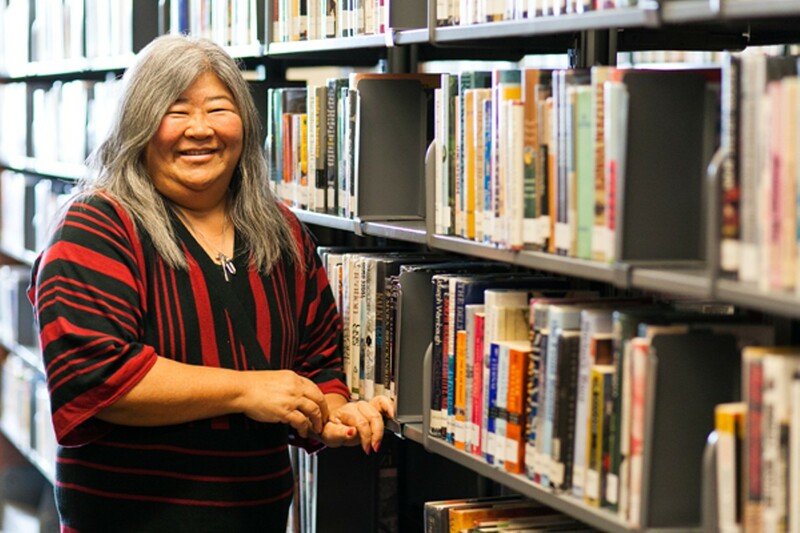 "We understand publishers," said Alameda Free Public Library Director Jane Chisaki. "They're trying to survive. We're trying to remain relevant. We need each other — for better or for worse." But now that Penguin has stopped allowing libraries access to its e-books, it seems as if librarians need books more than publishers think they need libraries. While Penguin can afford to not sell e-books to libraries, libraries need e-books to remain viable, librarians say. "We might not particularly like it, but at least we have access to Kindle books at our library," Chisaki said, referring to Amazon's popular e-reader. "We do the best we can with what we have." Sarah Houghton, acting director for the San Rafael Public Library, does not want to settle for limited access to e-books. She's calling for legislative mandates that guarantee libraries more access. At her library, she displayed three signs with contact information for publishers whom, she said, "refuse to sell or license e-books to libraries." She wants legislation that states that libraries can license, purchase, and lend digital items just like physical items. "The amount of information we cannot offer digitally has reached a crisis point," she said. "I think public outrage may engender a change in corporate policy — if it's strong enough. It may take a lawsuit, or legislation, but change will occur." E-book lending, if unrestricted, also would help libraries with limited operational hours to remain viable. "We can't afford to keep our doors open as much as we used to, but our website is always open," said Fisher of the Alameda County Library. "Now people can use the library whenever they need to." The popularity of e-books also may bring in more library customers. "Sometimes I'll get emails from people who have never set foot in our library before," said Marlon Romero, who conducts classes on using e-readers at the Alameda Free Public Library. "They want to know if it's still possible to get a library card to check out e-books without coming inside the library." People who come to libraries with a Kindle are determined to leave with an e-book, according to Romero. In fact, the decision by large publishers to pull back from libraries may benefit smaller publishers, as library patrons search for books they can download to their e-readers. "The smaller publishing houses are more receptive because they rely more on the library than major publishers," Fisher said. "We get names out there. You'd think that would be just as important to the major publishers, but it doesn't seem like it." But there are also concerns that an increased emphasis on e-books at libraries will effectively prioritize the desires of wealthier patrons over those who can't afford expensive e-readers. In January, the Rockford, Illinois chapter of the NAACP protested the local libraries' decision to spend a quarter of its book collection budget on e-books. The NAACP argued that it would severely limit the amount of library funding spent on physical books and favor wealthier individuals who can afford e-readers. Right now, e-books at the Alameda County Library make up 10 percent of the book-buying budget, and Fisher expects e-books to make up 30 percent of the budget in coming years. Police are increasingly on the frontlines of dealing with people with psychiatric problems. But they're often not adequately trained to de-escalate potentially violent encounters.